Underwriting activities help companies raise operating capital. 3. What Is the Difference Between Debt Preferred Stock & Common Equity in Capital Structure? Underwriting is the process that investment bankers use for their corporate and government clients who are issuing securities to raise capital from investors. These securities can be in the form of equity, which gives the buyer an ownership interest in the seller's company, or as debt, which acts as a loan from the buyer to the seller. The underwriters allow the issuing body to bring their securities to the marketplace. A debt security describes income a company or government agency borrows that must be repaid. The debt security has a set amount, a specific maturity date and, typically, a specified interest rate. The borrower uses the loan from the debt security to finance its operations, while the debt security holder earns interest income. Different types of debt securities have different interest rates, with low-risk government bonds carrying a lower interest rate than high-risk corporate bonds. An equity security gives the holder an ownership position in a corporation. 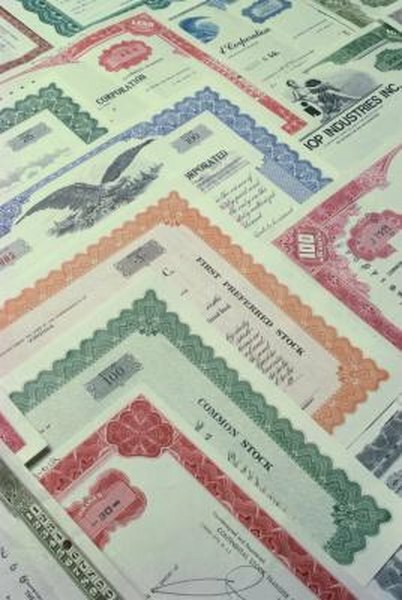 These securities come in the form of common or preferred stock and symbolize a claim on a relative percentage of ownership of the corporation's assets and profits. Ownership of equity securities also gives its holders the right to vote on company decisions. Shareholders make their profits in equity securities either by selling their shares for more than the purchase price or by receiving a portion of the company's profits in the form of dividend payments. Underwriters purchase debt securities from the issuer with the goal of selling the debt securities at a profit, known as the "underwriting spread." The underwriters can resell the debt securities either directly to the marketplace or to dealers who will distribute the securities to other buyers. Some debt security issues may require more than one underwriter. When a group of underwriters oversee a bond issue, the group is known as a syndicate. Underwriting equity works much the same way as underwriting debt. The major difference is when a company makes its first attempt at issuing equity securities, a process known as an initial public offering, or IPO. The underwriter helps the company determine how much capital it needs, how many shares it will issue in the IPO and the starting share price. The underwriter also assists the issuer in following rules established by the U.S. Securities and Exchange Commission for registering the stock and placing it in the marketplace. Why Don't Bonds and Stocks Move Together?